Whether you are a coach, a player, a basketball parent, or a fan of the game, this list is for you. 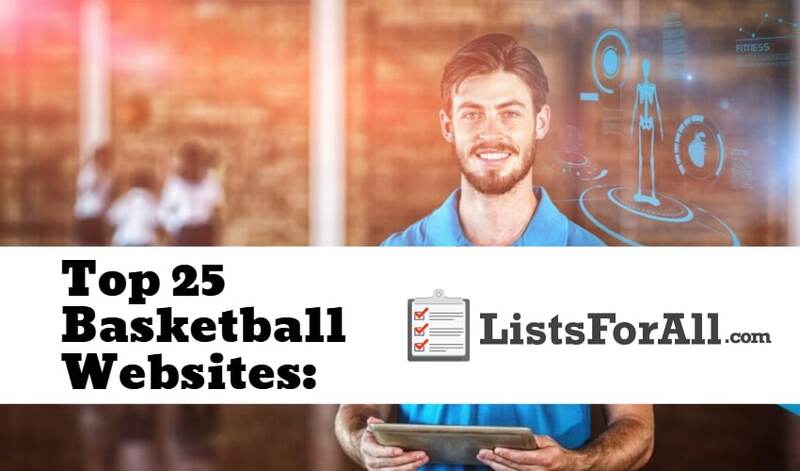 It is going to provide you 25 basketball websites that are worthy of a follow. Some websites are going to be learning based, while others are going to offer different basketball services. All of them though are going to be quality sites that are worth checking out. So start looking through this list of the best basketball websites and find the sites that best fit your needs. Are you looking for more sports-related lists? Visit our lists of the best soccer gifts, best baseball gifts, and best football gifts. About Website: Basketball HQ is going to allow users to access expert training videos at any time. Most of their videos require a monthly membership to view, but they do offer some free videos as well. They also offer a free seven day trial for all of their content. If you are a coach or player that is looking for some direction in the gym, Basketball HQ is a great option. 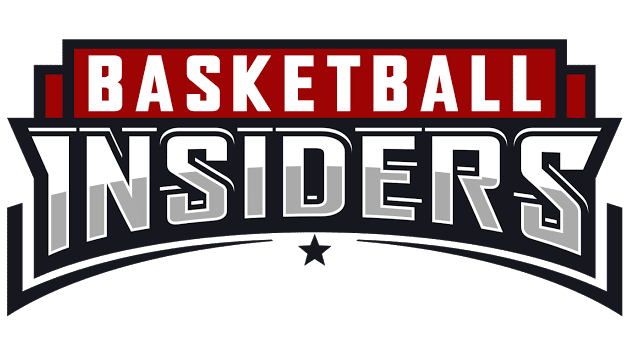 About Website: If you want the inside scoop on everything NBA, Basketball Insiders is a must follow. They do a great job of being the first to NBA stories and rumors as well as everyday news. Also, if reading isn’t your style, they also offer a podcast that you can listen to as well. Following Basketball Insiders is going to allow you to lead the debate in any NBA conversation at work or with friends. About Website: Coaches Clipboard is perfect for coaches of all levels. They offer a variety of free resources as well as some paid resources. On the site, you will get access to basketball plays, defenses, player fundamentals, drills, and so much more. If you are a coach or student of the game, Coaches Clipboard is a must. Also, with new content added regularly, Coaches Clipboard will be a constant source of new information. About Website: Technology has transformed the way that information is gathered, and it is no different with basketball coaching. CoachTube is going to allow you to be able to learn from other expert coaches like never before. With CoachTube you will be able to learn from coaches like Tom Izzo, Pat Summit, and more. You will also be able to choose from a wide variety of different topics as well. So if you love learning from other great coaches, then CoachTube is worth checking out. About Website: Staying on top of everything NBA has never been easier. With Hoops Hype, you will be able to access the newest NBA stories, team/player salaries, and rumors. You can also sign up for alerts as well that will give you first access to breaking NBA stories. All of this makes Hoops Hype a must follow for basketball news junkies. About Website: Pure Sweat was created with the coach and player in mind. Drew Hanlen and Alan Stein are the minds behind Pure Sweat, and they both do a great job of providing a ton of excellent basketball resources. Drew Hanlen also trains several NBA players as well (Jason Tatum, Bradley Beal, Joel Embid, and more). So in following Pure Sweat, you will also be able to get a look into their different workouts. About Website: TeamSnap saves you time and energy with your team; it is as simple as that. Their website and mobile app will allow you to communicate with your team all in one place easily. No more having to search through emails and contacts to alert everyone when there is a time change or venue change for practices, games, etc. This is the perfect tool for basketball coaches and trainers. 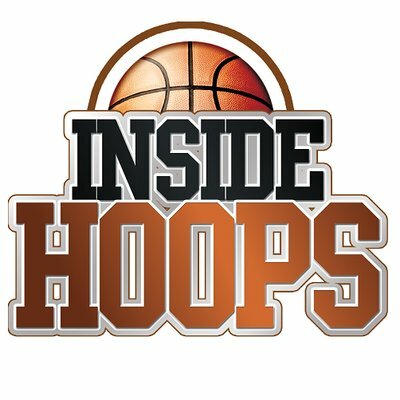 About Website: If you are interested in staying on top of the ever-changing college basketball coaching carousel than HoopDirt.com is a must follow. They have the breaking info on new jobs, coaching changes, and so much more. If you are looking to get into college coaching, they also offer job postings. So who knows, maybe you will get your next coaching job by checking out HoopDirt. About Website: One of the best ways to improve your game in the summer is at basketball camp. Point Guard College offers camps in over 30 different states for players. Along with camps though, they also provide a lot of other great basketball resources on their site as well. So if you are looking to develop your game as a player or improve your basketball knowledge as a coach, PGC is going to be an excellent option. 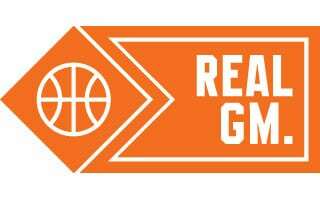 About Website: Real GM is going to allow you to look at different NBA teams from the perspective of a general manager. It will let you see the numbers behind the team, and will better help you understand why some players are released, traded, etc. The site also offers a lot of other great basketball related information as well. Real GM will allow you a look behind the scenes and will let you see how basketball works from the money side of things. About Website: The Skill Development Coach website is going to offer training resources for players, parents, coaches, and trainers. They offer a “skills table” that is going to break down different aspects of the game that a player needs to work on to achieve their goals. This will make it easy to see what you should be spending time working on in the gym. 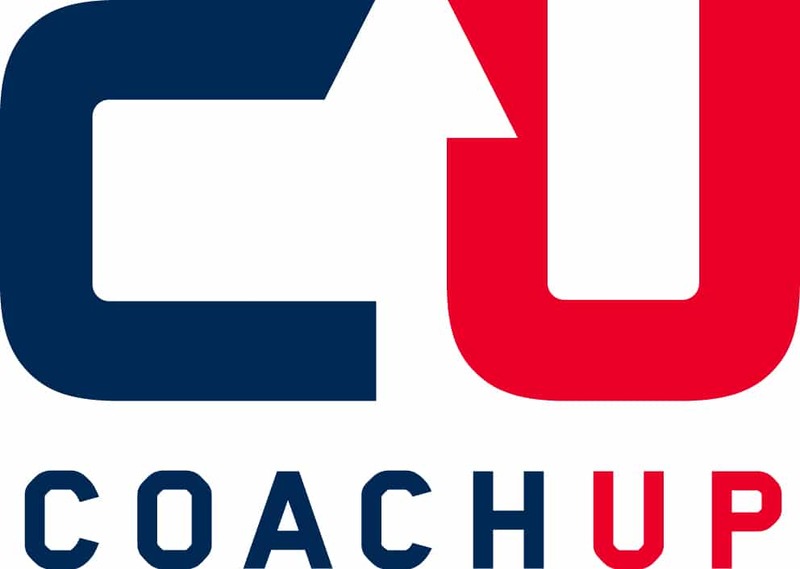 About Website: CoachUp exists to help players connect with quality trainers in their area. It is a multi-sport website, but basketball is one of the sports that you can choose from when looking to find a trainer. Each trainer comes with a bio page and feedback, so hopefully, this should help you in finding a great coach. Once you find a coach that you like, you can set up a time and then start training; it is as easy as that. About Website: Looking for basketball plays, drills, clinic notes, and more? HoopScoop is going to have what you are looking for. And, the majority of it is free. Followed by thousands of coaches from all around the world, this is one basketball website that you would do well to favorite. 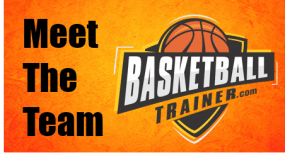 About Website: If you are a player or parent that needs a quality trainer in your city, BasketballTrainer.com is for you. They will help set you up with a trainer that you can trust and will help develop your game. It is also an excellent resource for trainers as well because they can get connected and list their info as well. As a basketball trainer, the more publicity you can get for your name and your brand the better. 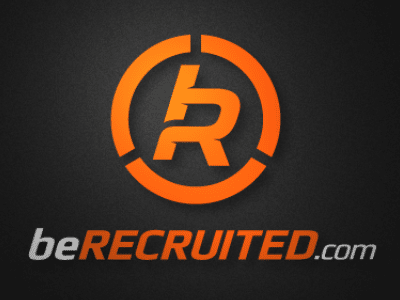 So if you are a trainer, this is one basketball site on this list that you should check out. About Website: Connecting players with college coaches and vice versa can sometimes be a difficult thing to do. The beRecruited platform is going to help with this process. Coaches and players can connect and hopefully find a great fit. It is a pretty simple tool to use as well and is a win-win for both players and coaches. About Website: Whether you are looking to get basketball news on the NBA, college, high school, or even streetball, Inside Hoops is going to have you covered. Along with news, they also cover NBA fantasy basketball as well. So if you enjoy fantasy basketball, Inside Hoops will give you the inside track. 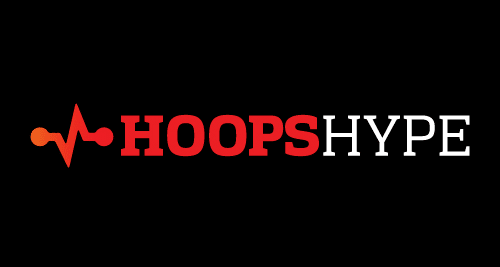 For all of the freshest basketball news and fantasy, Inside Hoops is a must. About Website: Online Basketball Drills is geared for youth and high school coaches. They do a great job of providing quality resources for drills, plays, practice planning, and strategy. You will be able to increase your general basketball knowledge or search for answers to specific questions that you may have. About Website: If you are a basketball coach, The Coaching Toolbox is a must follow. You will be able to learn and grow as a coach while adding different tools to your coaching toolbox. With new content always being published it is a resource that is continually adding value. So make sure that you add The Coaching Toolbox to your list of basketball websites that you visit regularly. About Website: Mark Adams Basketball features ex-college basketball coach and current national skills instructor Mark Adams. Coach Adams was a part of the Syracuse staff under Jim Boeheim, and he has over 25 years of coaching and training experience. He now travels the country and runs clinics for different programs and cities. If you are interested in basketball training, Mark Adams Basketball is a great follow. About Website: If you are a basketball coach and don’t have the equipment or time to edit game-film, then Krossover is for you. All you need to do is give them your game film after a game. Within a couple of days, you will get it back, and it will be cut up however you requested. Watching film can make a huge difference with your team. So if you are a basketball coach you need to check out Krossover and all that they offer. About Website: Functional Basketball Coaching was designed with coaches in mind. They provide content for all levels of coaches, regardless of age or skill level. Their goal is to improve the coaching standards in the basketball community by providing quality resources. If you are a basketball coach, you need to make sure that you are taking advantage of all these great resources. About Website: FastModel is a basketball play diagramming and playbook software. This software will allow you to be able to create play diagrams for your team easily. As a coach, it is essential that your plays are clearly drawn out for your players. FastModel is going to allow you to do this in a short amount of time. About Website: Breakthrough Basketball is primarily geared towards youth and high school level coaches. However, they do also offer some more advanced coaching material and player tips and resources as well. Breakthrough Basketball is going to give you access to instructional videos, eBooks, camps, forums and more. About Website: Hoop Thoughts blog is run by Texas A&M women’s basketball coach Bob Starkey. He uses his coaching experience to provide insights into the game, as well as other tips and resources. If you are a coach at any level, Hoop Thoughts is a great resource to use. About Website: Bleacher Report covers sports from all over the world, but they also do a great job of covering the game of basketball. They also do a great job of putting an entertaining spin on the majority of their stories as well. For an entertaining follow filled with excellent basketball content, make sure that you follow Bleacher Report. Whether you are a coach or just a fan of the game, this list of the best basketball websites is for you. We would encourage you to check out all of these great websites and find the perfect sites for you. For more basketball-related lists, check out this list of the best basketball books and best basketball training equipment. Is there a basketball site that you think should’ve made the list? Let us know in the comments below so that we can check it out. I just wanted to congratulate you for providing such a variety of basketball coaching websites. While teaching from 1967 – 2002, I had the chance of coaching basketball at a number of high school levels – everywhere from Junior High up through Varsity boys. While currently retired from teaching, I am still coaching at the varsity level at Sunbury Christian Academy in Northumberland and have done so for the past 4 years. So my total years actively coaching basketball has been almost 38 years. As mentioned, no matter how long one coaches, there is always something new and challenging to learn. That’s why I commend you on the sources you have chosen. In fact, I currently use at least 4 of the websites, each packed with tremendous coaching ideas and implementing them. I plan to check out some of the newer sites to see what they have to offer as well. As a basketball “junkie,” I am always open for new ideas and better ways of improving what I already use. Thanks so much for what you have offered. I hope your career is a tremendously successful one. Consider adding http://www.coachwissel.com to your list of Best Basketball Coaching Websites. Coach Wissel’s site is indeed excellent! Check out http://www.coachingtoolbox.net/welcomegate as well! World of Basketball – http://www.worldofbasketball.org is MUST VISIT for all Basketball coaches, players, fans. I visit daily for fresh Basketball news. Great section of Basketball coaching articles, but beside all, a lot of good informations about Basketball history, Basketball rules, different competitions, youth Basketball and many many more. Enjoy your site; great job in promoting coaching development …One of best and most comprehensive basketball teaching websites I’ve seen is hooptactics.com, run by Ernie Woods and Bob Kloppenburg. Incredibly in depth site with offensive and defensive systems and how to teach all from high school to pro level. Worth checking out. great list. I would also recommend BasketballCourtDiagram – http://www.basketballcourtdiagram.com to download free printable basketball court diagrams (fiba, nba and ncaa). Hello,great list of Basketball sites. Very nice blog post. I certainly love this website. Continue the good work! We’re adding new basketball drills and tips every week to drdishbasketball.com and blog.drdishbasketball.com! Please feel free to check us out and subscribe for updates. Good list you have most of the heavy hitters on here check out https://www.byltraining.com/ I think they have one of the best and most entertaining blogs around. Nice list! Although over at http://www.verticaljumpdevelopment.com we aren’t strictly focused on basketball, it is our main focus and we always try to help those that are looking to build their athleticism and fitness, as well as develop ball handling and shooting technique. A Complete Basketball Skill, Mentality And Leadership Training Academy Including Basketball Skill Workouts, Mentality Training Exercises And Leadership Development. Your list is excellent! I like how you included both small and big basketball websites. Can you please also consider adding https://basketballradar.com to your list? We provide the latest basketball news and unbiased product reviews and feel our site would be perfect for this list.